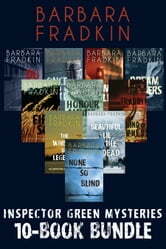 This ebook bundle contains the first ten novels of the Inspector Green Mystery series by Barbara Fradkin. On dangerous backstreets of Ottawa, Homicide Inspector Michael Green leads complex investigations into sensational cases. When his job puts his marriage, life, and even his family in harm's way, Green's obsession with uncovering the truth leaves him grappling with the ultimate meaning of justice. Twenty years after Green helped convict a young professor for the murder of an attractive coed, the man continues to protest his innocence, and shortly after being paroled, he is found dead. Suicide? Revenge? Or had Green, with blind overconfidence, failed to see the greater evil lurking in the girl’s life? Enjoyed the ongoing stories of Inspector Mike Green, family, friends and co-workers in this series. 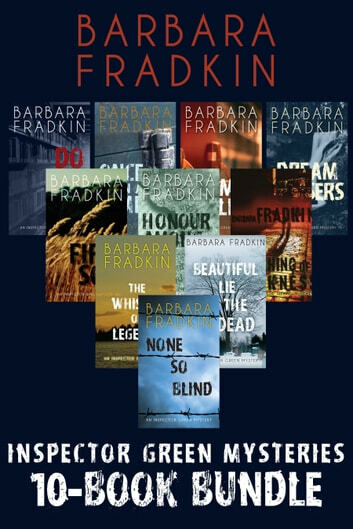 The twists at the end when the murderer was found were not predictable. Read and enjoy!